What to do if your dog falls between sizes? Collars are not always a good idea, as dogs can slip out of them and that means that you may lose the dog in a crowd, or, worse, have it run in front of a car. If you need more control over your pet, a good idea would be to find a comfortable harness for your dog so you can quickly direct its action, without hurting it. However, if you want to do an excellent job of picking the right harness, first you need to take your dog’s measurements. If you shop around for a dog harness, you will notice that manufacturers recommend various sizes and models depending on the dog’s weight. However, this may not always be enough, and your pet’s comfort depends on your ability to find a harness that fits. 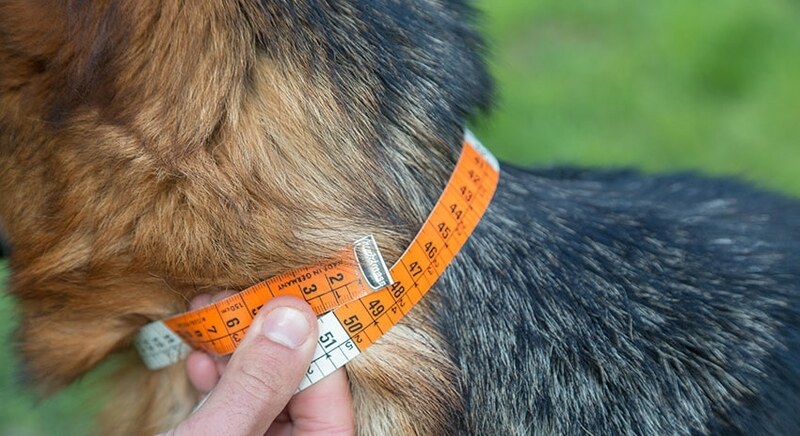 That means that you should grab a measuring tape and start taking your dog’s measurements. 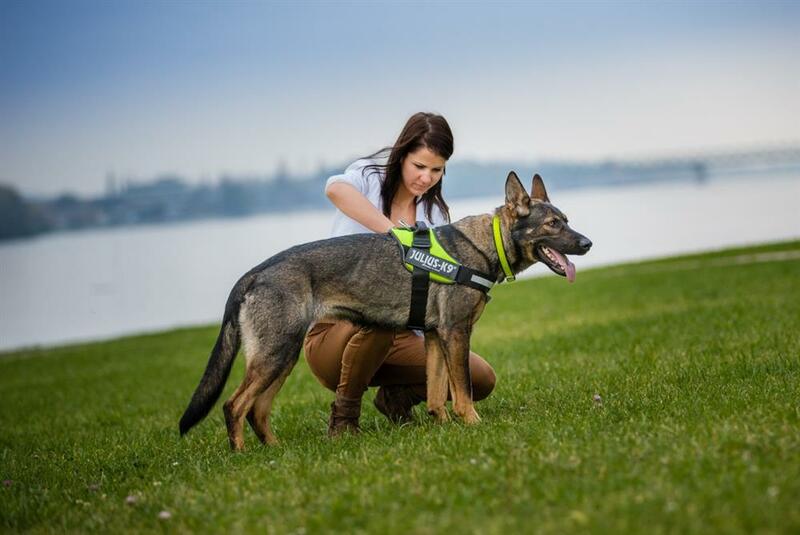 By combining the information you will obtain this way with the recommendations offered by the manufacturer, you will get the exact measurements you need for picking the right harness for your dog. Make sure that the dog stays still while you take the measurements, and, if that seems difficult to achieve, enlist someone’s help to hold the pet still for this. 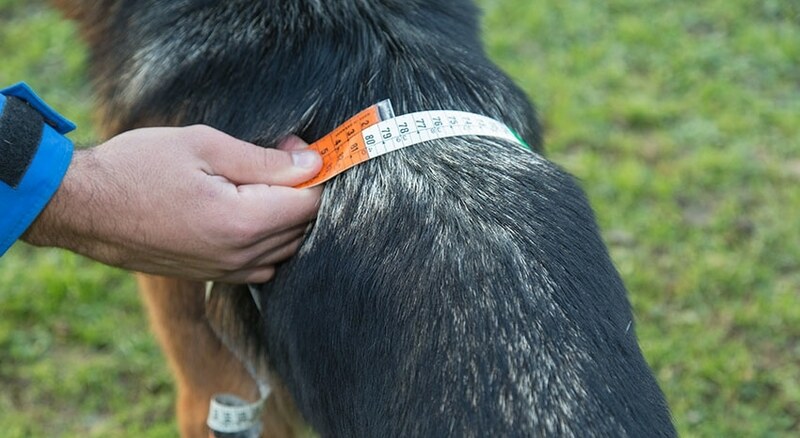 The first thing you will need to measure is the broadest area of the dog’s chest. Pass the measuring tape around and behind the armpits, and while doing so, avoid tightening the tape too much, as you want a good fit and not a tight one. The harness you are going to purchase must be snug, but still comfortable. When you pick a harness, you will need to know the measurements taken earlier and your dog’s weight. This is the information on which you will base your choice for a harness. The ideal model should be about two inches larger than the value you wrote down previously. After you find such a harness, check to see if it is recommended for the weight range your dog falls in. Once you figure this out, you will be able to find the ideal harness for your dog. That is an excellent question. The recommended course of action is to go for the larger size. The harness you pick can be adjusted to fit more snugly, but, if you get one that is too small, there will be no way to make it comfortable for your dog. Now that you know what sort of harness to get for your dog, based on the measurements taken, it is time to learn how to put the harness on. After you unclasp the harness, have the dog put the front legs through the openings. Pull the harness up and clasp it at the back. If need be, make sure to adjust it slowly, until you find a perfect fit that is not too tight, and not too loose either.